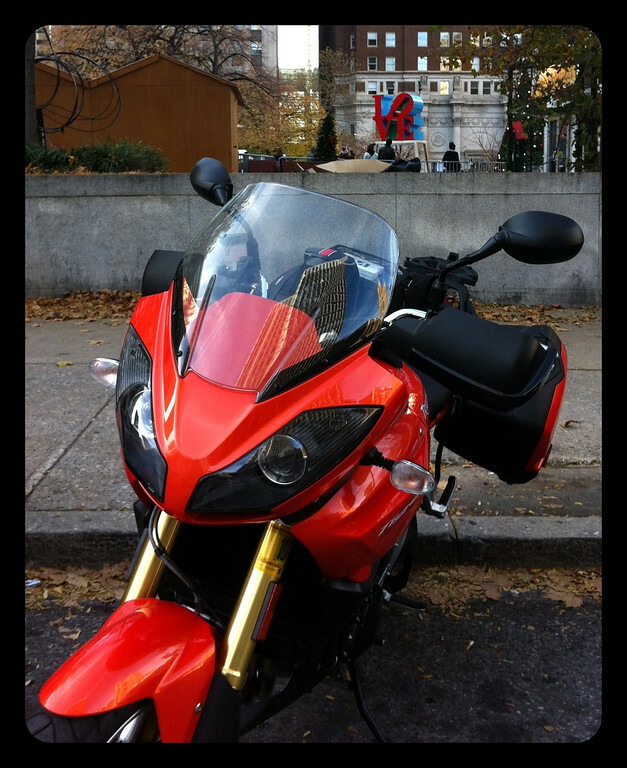 I tagged along on a ride to have a cheesesteak lunch in Philly on Saturday afternoon. 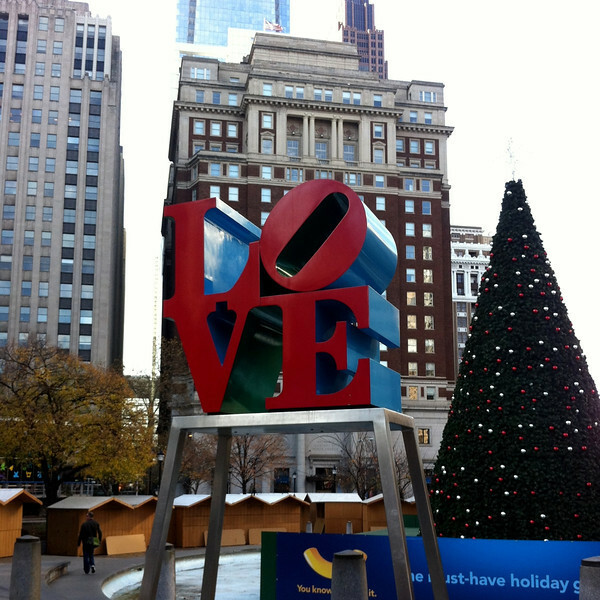 I couldn’t leave town without seeing Robert Indiana’s LOVE sculpture while I was there. As it turned out – we got the most perfect parking space! Yay! As a frequent Philly visitor, I’ve seen that sculpture many times. It’s a big landmark down there. More impressive in person than we expect. Glad you had a personal encounter with it. I really like your attraction to the good things in life. It bespeaks your laudable nature. Is the one in New York city traveling the east coast or are there more than one to be found? The one in NYC is safe & sound in it’s regular space on 6th ave. That one is like 5 times the size of the Philly one. Love the blog, just found it. I saw the one at Chatsworth (a grand old country house in England) a few years ago, what a setting ….. Thanks, 2000! Glad to have you aboard. Those grounds sure look beautiful. Dare I say.. i LOVE that love?